Although he never lived here, Forest R. Minger, Jr. held a life-long love for Manistee County. 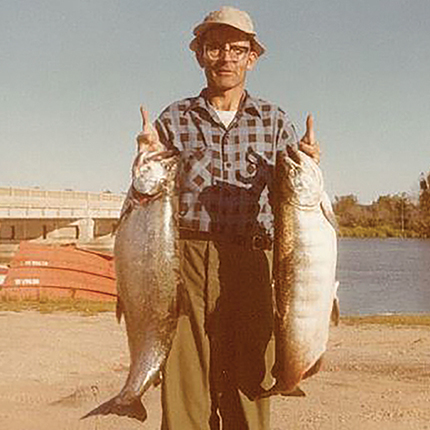 A self-described fanatic, Mr. Minger had shared that he spent every possible minute of his free time fishing Manistee County waters. He received so much enjoyment from his time spent recreating in the area that he was inspired to give back. Out of his love for Manistee County, and his excitement about the opportunity to have a big impact on a small community, he made arrangements to leave a gift to the Foundation through his estate. Mr. Minger passed away in 2016 but his legacy will live on. His transformational $15 million gift, $10 million of which was received in late 2016, established two endowments at the Foundation that will enhance Manistee County for generations to come. 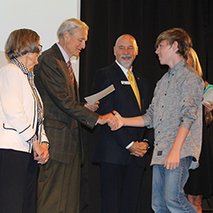 The Minger Family Endowment Scholarship Fund supports the pursuit of post-secondary education and the Minger Family Endowment Fund will enhance and expand area recreational opportunities. Ask us about how you can get a grant. Thanks to your generous support, the Manistee County Community Foundation is now able to serve Manistee County at a new level! From exceeding the Limitless Fund Challenge to receiving a landmark first estate gift, 2016 was a transformational year for the Foundation. It is an honor for the Foundation to be entrusted with these special gifts and we look forward to putting them to work to achieve the greatest impact for our community. We are deeply grateful for your generosity and for your confidence in the Foundation. Thank you for loving Manistee County! A college education is possible for more Manistee County youth thanks to the generosity of Bill and Marty Paine. Impressed by the impact of the countywide cradle-to-career educational network, Launch Manistee, they established the associated Manistee Commitment Scholarship Program to remove barriers and expand opportunities for area students. The new program promises a college education to Manistee County ninth-grade students who are nominated by their schools because they show academic promise, would be first in their family to earn a college degree and have financial need. In addition to receiving a full-tuition scholarship to West Shore Community College, including up to 60 credit hours over a maximum of three years, selected students and their families benefit from programs that provide academic, social, and financial support. The Foundation provides administrative and financial management for the Launch Manistee network and the Manistee Commitment Scholarship Program as part of our commitment to support area youth and education. During 2016, the Launch Manistee Endowment Fund was established to help sustain the network which is critical to Manistee County’s economic success. The complimentary Manistee County Preschool Scholarship Fund was established by the Great Start Collaborative to help enable all children to benefit from early childhood education programs. Just look at what we can do together to move Manistee County forward! Each year the Foundation receives diverse requests for support from the community. In 2016 the Foundation awarded over $216,657 in grants and scholarships to address a wide array of community needs. Supported by separate grants from the Michigan Health Endowment Fund, the Foundation and District Health Department #10 partnered to offer the Live Well Manistee Collaborative Grant Program. The joint re-granting initiative was aimed at improving access to healthy foods in Manistee County, especially among children and seniors living in poverty, by strengthening the local food system. 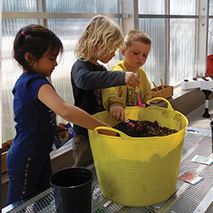 In 2016 the Foundation awarded a grant to the Little River Band of Ottawa Indians for the new Next Generation Learning Center to provide greenhouse supplies and materials. Students will participate in the growing of produce which will also be incorporated into their meals. Northern Pathways Equine Center, which provides growth and learning through participation with horses, also received a grant to involve their participants in constructing, planting, and harvesting four types of gardens. They used the produce for healthy snacks during programming. Other Foundation grants supported the renovation and reopening of the Armory Youth Project which serves all Manistee County middle and high school youth, and to Arc/Manistee to help offer a summer camp for students with developmental and intellectual disabilities. A grant to the Benzie Area Christian Neighbors helped support their Women on their Way (WOW) program, a supportive effort which in part helps Manistee County women continue their education and find pathways to success. Your giving helps support arts and culture throughout our Manistee County community. 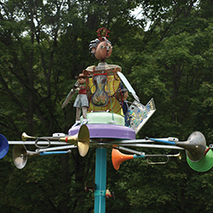 The Spirit of Giving Fund helped make possible the Dewey Blocksma sculpture, commissioned by the Arts and Culture Alliance of Manistee County, which honors the contributions of migrant workers who have been active in area fields since the 1930s. The Fund also made it possible for students in the Tri-School Drama Program, involving students from Onekama Consolidated Schools, Bear Lake Schools, and Kaleva Norman Dickson Schools, to experience the Broadway sensation Wicked at the Wharton Center in East Lansing. The restoration of stained glass windows within the 120-year-old Manistee United Church of Christ, which is on the National Register of Historic Buildings, was made possible by the Glass Sticks and Bricks Fund, and the Brethren Heritage Association was awarded a grant to help restore the Settlement House Museum Building. The Doug Schlaff Youth Fund helped make it possible for more families to participate in Manistee Recreation Association swimming programs and for area youth to learn about all aspects of theatre through the Children’s Theatre Workshop. Enhancements to lighting and new equipment for the Paine Aquatic Center were provided through the Corey Van Fleet Perpetual Swimming Fund. The Lighthouse Park Project Fund was established to provide support for ongoing maintenance at the recently renovated park and the Manistee County Council on Aging Endowment Fund was established to support their efforts into the future. Through your generosity, we are working to expand horizons and provide new experiences. Let’s keep going! The Foundation is fortunate to have its own local panel of experts that advises on the needs and opportunities facing our area youth. Born out of a challenge from the W.K. Kellogg Foundation to community foundations across Michigan, the mission of the Manistee County Community Foundation’s Youth Advisory Council (YAC) is to empower young people, involve them in the community, and teach them about philanthropy while serving as stewards through grantmaking. 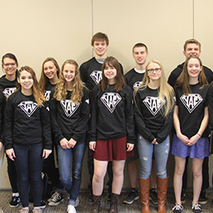 The YAC serves as the advisory committee to the Foundation’s Youth Endowment Fund and is comprised of students from each high school in Manistee County. 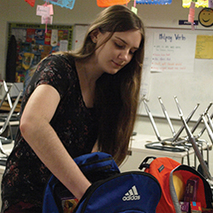 In 2016, the YAC provided support for a number of area youth-serving efforts including the Manistee Community Kitchen’s Cooking for Kids Program, Bear Lake Community Service’s Food Pantry, Onekama Consolidated School’s Portage Pride Packs and the 19th Circuit Court Family Division’s Youth Diversion Program. Each year YAC members have the opportunity to attend an annual youth grantmakers conference hosted by the Council of Michigan Foundations where over 300 youth philanthropists gather from across Michigan to exchange ideas about how they can positively impact youth in their communities. None of us can predict our community’s future challenges or opportunities. However, because we care about the vitality of Manistee County’s future today and beyond our lifetimes, we must ensure resources for our community’s advancement and success. Together, we met and exceeded a $500,000 challenge from an anonymous donor to grow our unrestricted endowment, resulting in over $1.4 million in gifts and pledges to the new Limitless Fund. These flexible funds will be strategically directed toward the greatest needs of our community today and in the future. 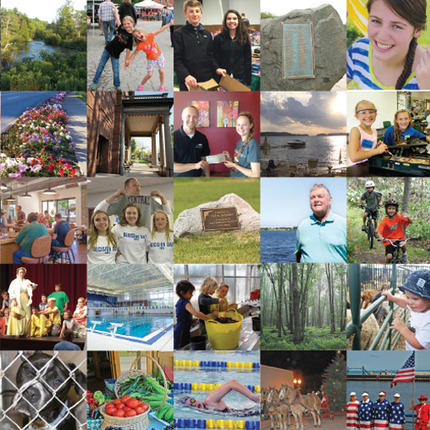 The Manistee County Community Foundation is the only entity serving Manistee County that impacts all aspects of life – youth, education, the arts, environment, human services, economic development, and more. The Limitless Fund will enable us to address critical gaps and support emerging opportunities. When a community joins together around a common goal, the possibilities are limitless. We extend our heartfelt gratitude to our anonymous challenge donor and to all the donors to the Limitless Fund Challenge. Thanks to your generosity, together we will enhance Manistee County today - and in the future. To learn more, and to view a listing of Limitless Fund supporters visit www.manisteefoundation.org/limitless.